CCS Presentation Systems of Michigan is a commercial Audio Visual company specializing in full design, engineering, sales and integration of audio visual equipment across multiple business sectors. Since 1991, CCS Presentation Systems has served customers in the corporate, government and education markets. CCS provides full-service integration, installation, maintenance and training of audio and video equipment, including large format LCD displays, digital projectors, interactive whiteboards, room control systems, audio systems, high definition videoconferencing systems and more. 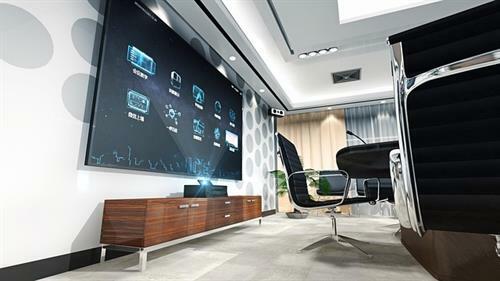 The company has expanded from a two-person operation in Arizona to one of the largest audio visual integrators in the U.S. with more than 300 employees, sales offices in 24 states and annual revenue in excess of $175 million. CCS was recently ranked by Commercial Integrator as the No. 1 commercial audio visual integrator in the country. 1 Block South of 10 Mile Road on the East side of Dequindre Rd. Our office is located inside of the Palmer Moving & Storage facility.